BULLETIN BOARD stay hydrated this summer! Summer is right around the corner! This is often the most exciting time of year for children and families who enjoy spending more time outdoors playing sports, exploring nature, having fun at the beach, among other activities. With our children spending more time outdoors and being exposed to higher temperature levels, it is more important than ever to make sure they stay hydrated. Drink plenty of water. Water is hands down the best thing you can have your child consume to stay hydrated. Health professionals recommend drinking at least six to eight 8-ounce glasses of water per day. However, some children do not enjoy drinking plain water. Mix it up with flavored water. A variety of flavored water is available at your local grocery store. It is best to avoid flavored water beverages which are heavy in sugar, as sugar slows down the body’s absorption rate of fluids. Also, be aware of beverages heavy in artificial sweeteners. Gatorade is another great option to keep children hydrated specially those involved in sports. Offer plenty of fruit and veggies. Whole fruits are mostly water and are filled with vitamins, minerals, fiber and also aid in hydration. Cantaloupe and strawberries are approximately 90% water. Watermelon, grapes, oranges and apples, as well as vegetables such as cucumbers, tomatoes and leafy greens are excellent sources of water. The naturally sweet taste of coconut water is another great way to boost hydration and is full of antioxidants too! Make popsicle treats. Popsicles made from fruit and water are a fun and effective way to retain fluids in your children’s system. This can be as simple as pouring juice into plastic Popsicle molds. There are all types of creative ways to turn this into a nutritious treat. Once again, be mindful of the amount of juice consumption, since the presence of sugar slows absorption. 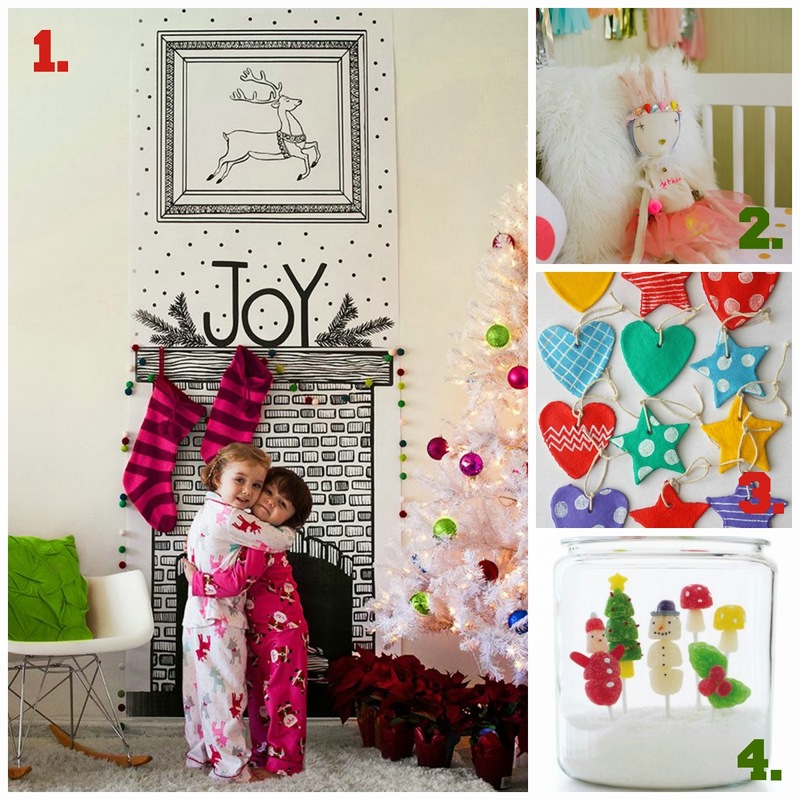 Children look forward to the holidays all year long, but sometimes the fun gets lost in the shuffle. 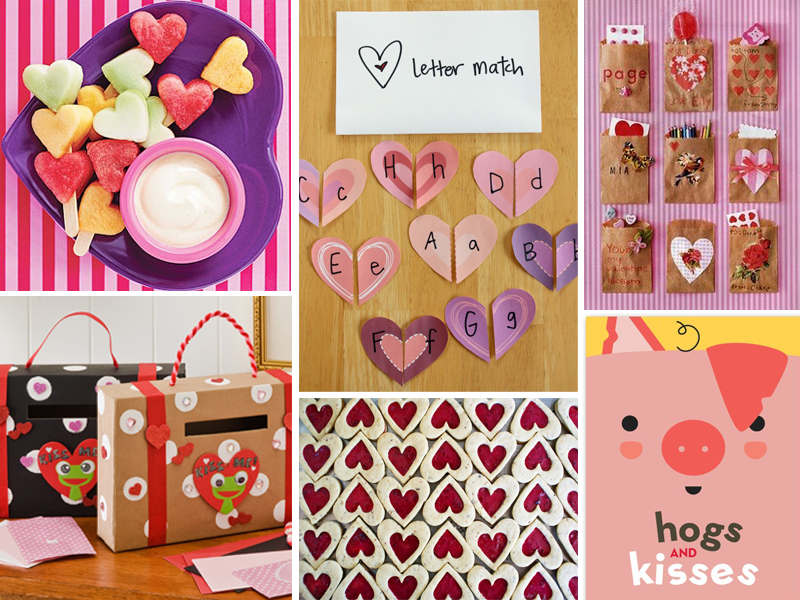 We love these four pins from our Fairmont Pinterest boards that bring out the kid in all of us. 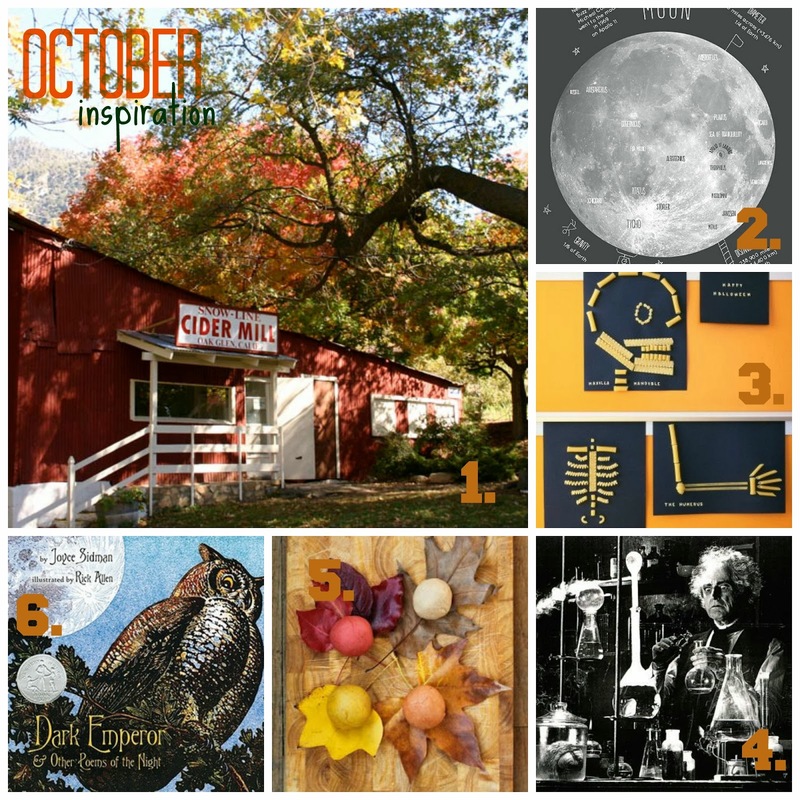 From poetry to chemistry to apple picking road trips, we hope our inspiration board helps sets the tone for your "fall" into October. 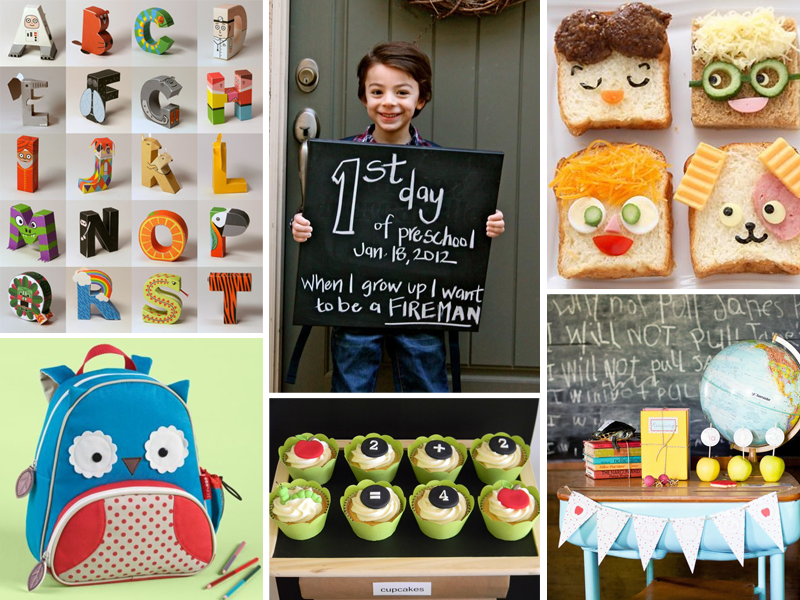 It's safe to say that back-to-school season is our favorite time of year at Fairmont Private Schools. We are thrilled to welcome back all of our amazing teachers and staff and to say a big "Hurray" for the first day. Sending out warmest wishes to all of those school-aged children out there and to their moms, dads, and little brothers and sisters...who will one day be headed back to school too! Here are a few of our favorite back-to-school pins from Fairmont's Pinterest boards. Follow us on Pinterest, Facebook, Instagram (search for Fairmont Private Schools and choose your campus)...and right here on our blog for lots of inspiration all school year long! 1. 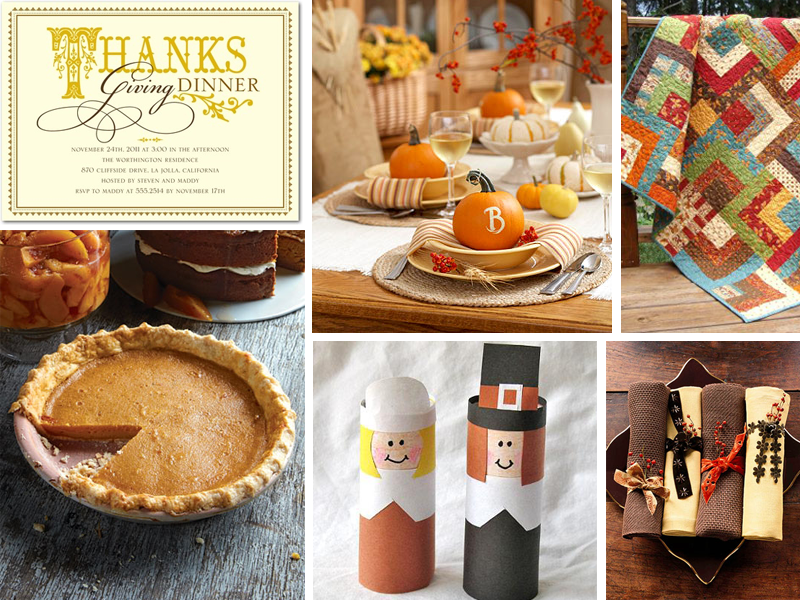 This turkey-inspired popcorn bag is the perfect centerpiece for any kid's table. 2. 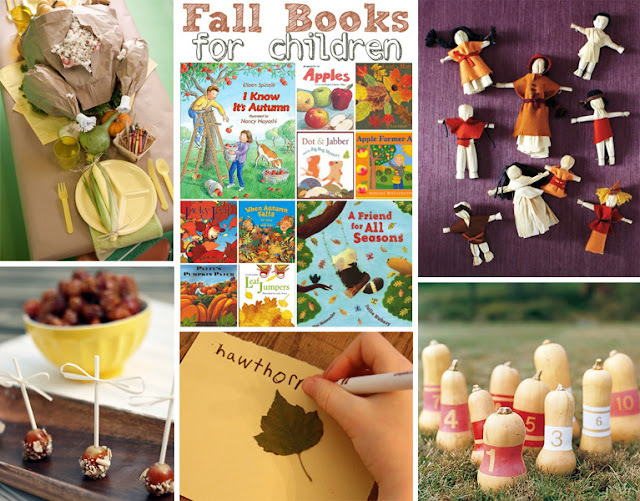 The little ones will love these fall reads. 3. Re purpose your corn husks to make these dolls with your little girls. 4. Who needs caramel apples when you have these mini caramel grapes? 5. DIY Fall Leaf Cards can be used to play Odd Leaf Out or Go Fish. 6. Looking for an alternative to the Thanksgiving family football game? How about squash pin bowling?! Who says the Southland doesn’t experience fall color! 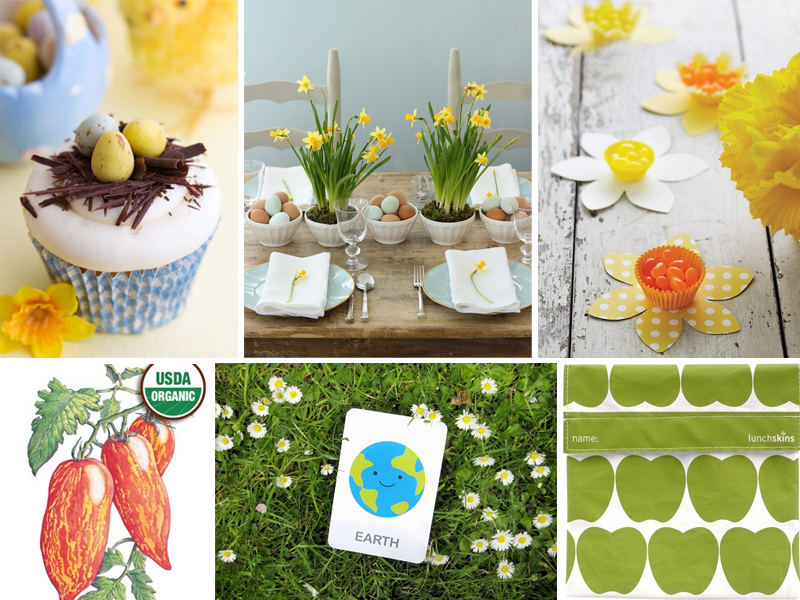 This month, we enjoy a vibrant entree into fall with inspirational images plucked at the peak of harvest perfection. We love Crate and Barrel’s Marimekko Kumina Orange tablecloth setting a modern but none-the-less festive tone for October. There are so many cute Halloween crafts out there, but for starters check out Family Fun’s recycled milk jug lanterns and Favecrafts Halloween wreath—the best decorations are the ones you and your kids make together! 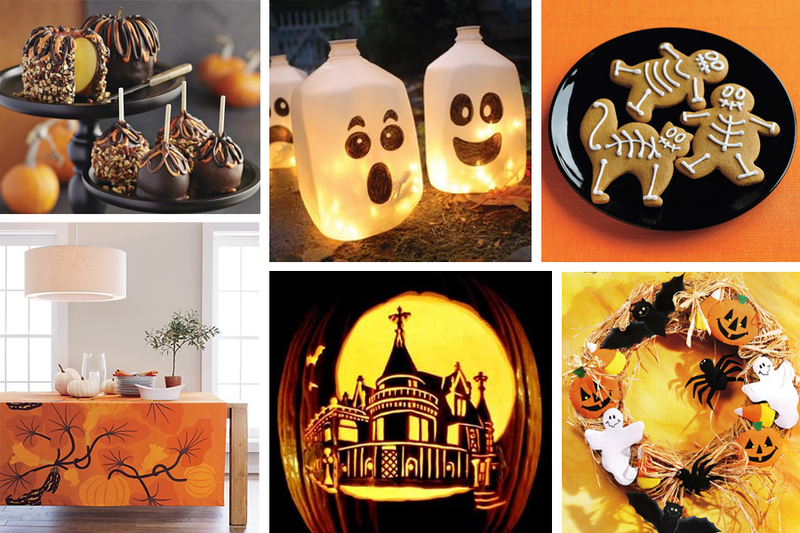 Enlist your children's help in outfitting gingerbread men and women with skeletal "costumes" or take a short cut to seasonal sweets by ordering decadent Halloween caramel apples from Williams Sonoma. And October just wouldn’t be the same without a glowing jack o’ lantern—learn how to carve pumpkin masterpieces at Roger's Gardens' Pumpkin Carving Seminar on Oct. 13 from 9-11am. Summer has arrived, and it's time once again to celebrate our beautiful Land of the Free! 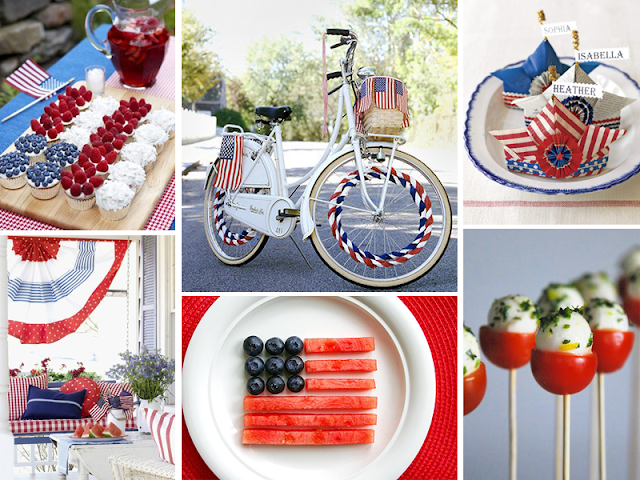 Throw a neighborhood parade, run in the sprinklers with the kids, win a watermelon eating contest--no matter how you plan to spend 4th of July, we hope you find some inspiration in these patriotic picks. Happy 2012! The New Year brings us all a fresh start and an opportunity to reflect. With resolutions of good health and organization in mind, here are some inspiration pieces for January. 1. Kick off a healthy and environmentally friendly new year with Oakland, CA-based artist Maria Schoettler’s Eat Local 2012 Calendar. 2. 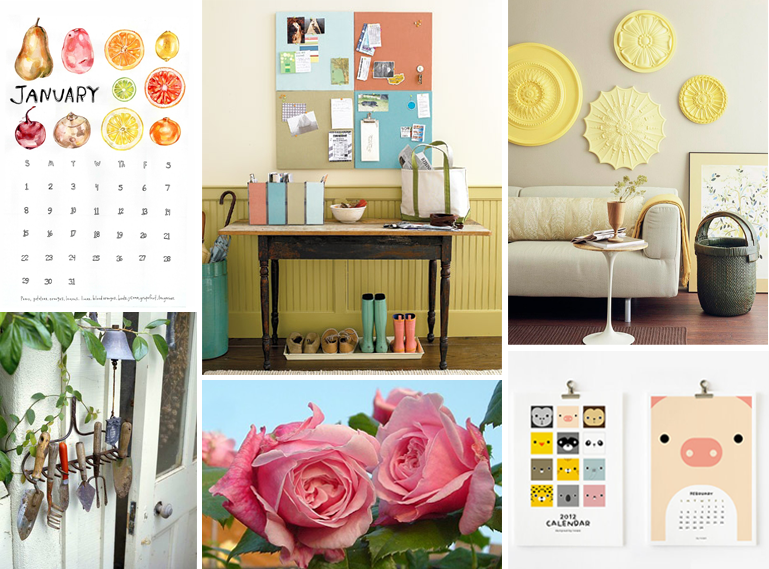 Color code your home with these organizing tips. 3. Start checking off your home improvement to-do list with this simple, beautiful DIY project complements of Better Homes and Gardens. 4. Spend some time outdoors and re-purpose that old rake into the perfect garden tool storage center. 5. Develop a green thumb--January is the ideal month to plant roses in Southern California. 6. Keep the kids organized with these animal-inspired and kid-approved printable calendars. As we ring in November, we're reminded to be thankful for the natural autumn beauty that surrounds us and the love of family and friends. We hope you find inspiration in some of these fall favorites. Who says the Southland doesn’t experience fall color! This month, we enjoy a vibrant entree into fall with inspirational images plucked at the peak of harvest perfection. We love Crate and Barrel’s Marimekko Kumina Orange tablecloth setting a modern but none-the-less festive tone for October. There are so many cute Halloween crafts out there, but for starters check out Family Fun’s recycled milk jug lanterns and Favecrafts Halloween wreath—the best decorations are the ones you and your kids make together! 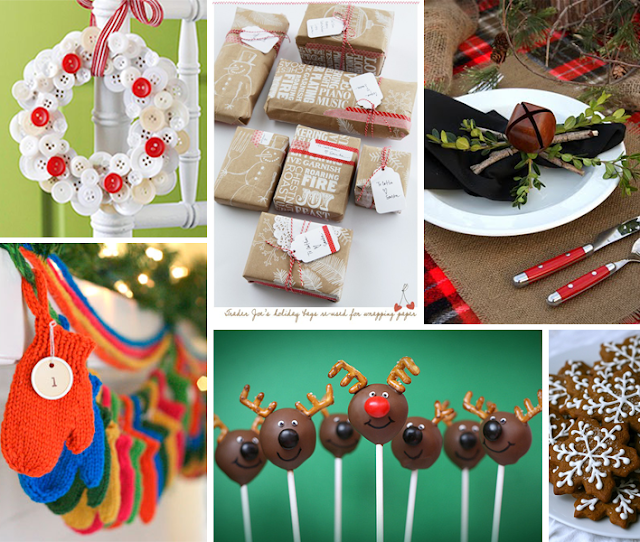 Enlist your children's help in outfitting gingerbread men and women with skeletal "costumes" or take a short cut to seasonal sweets by ordering decadent Halloween caramel apples from Williams Sonoma. And October just wouldn’t be the same without a glowing jack o’ lantern—learn how to carve pumpkin masterpieces at Roger's Gardens' Pumpkin Carving Seminar on Oct. 15. from 9-11am. Happy September! 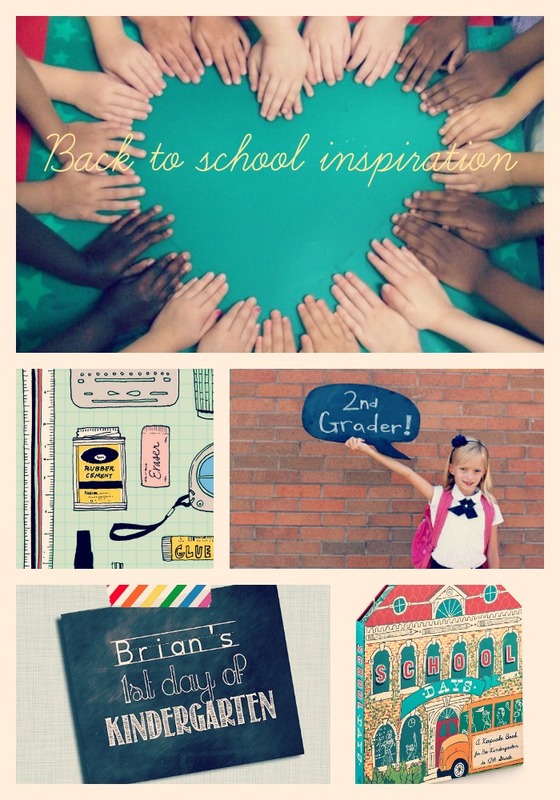 This month's inspiration board is all about going back-to-school and the nostalgia and emotions this season conjures up for all of us. Old school flash cards hearken back to Fairmont’s early days in the 1950s. Vintage-inspired periodic table chart art is the perfect addition to any science genius' bedroom or classroom. 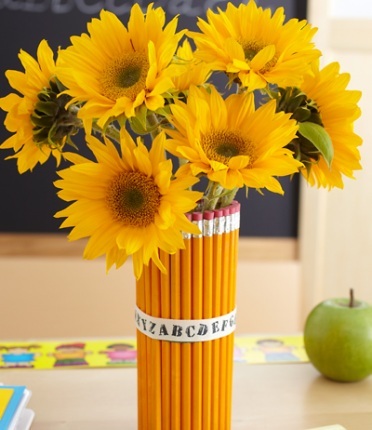 Celebrate the end of summer with this pencil vase craft. 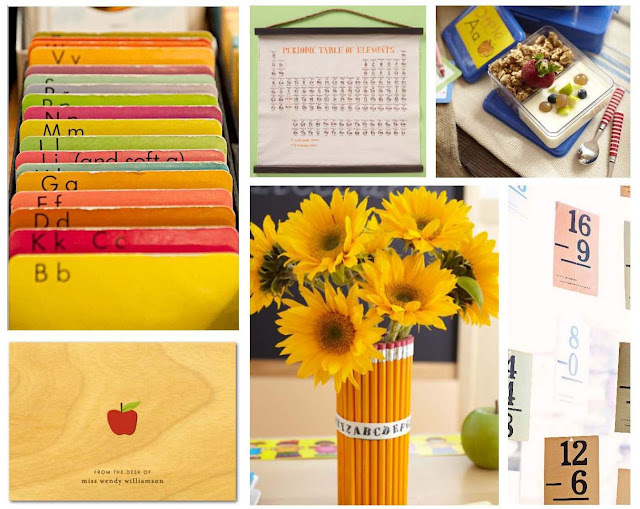 We love the iconic symbol of the apple on these teacher note cards, which reminds us that parent/teacher communication is the best way to help kids succeed this school year. 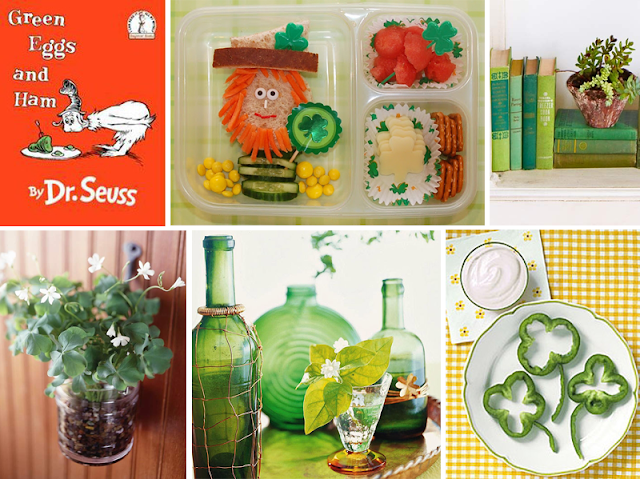 A utilitarian lunch kit inspires us to fuel our minds and bodies with healthy eats all school year long!